NOT only the third world is embracing ODF, thanks in part to a recent initiative from Canonical and IBM*. Highly developed nations too have decided that ODF is the better route, debunking myths of “poor man’s standards”. According to this latest report from the Observatory, another migration to ODF in Denmark is now being implicitly confirmed. 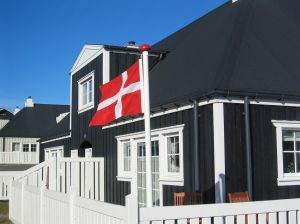 The administration of the Danish municipality of Lyngby-Taarbæk is installing OpenOffice on some 1700 school desktop PCs, the administration announced yesterday. This ought to be enough to make the Danish Microsoft ecosystem at least a little nervous. When one place sets an example for others to follow, then it becomes akin to Kissinger mercilessly chasing the “Red Threat”. Microsoft McCarthyism, anyone? Microsoft’s bestest [sic] friend in Denmark still heckles ODF all the time, as he has done for years while pretending to have genuine interest. “I’ve been fixing various bugs for koffice2.1 that should make ODF interop much better,” writes Thomas Zander from Nokia. “Hope you can test that version,” he tells the Microsoft provocateur. –John CodyMicrosoft Denmark would love more control of ODF too [1, 2, 3]. If enough people forget the many scandals, Microsoft’s minions will manage to get nearer and they might as well get their way. For the time being, things appear to be safe enough. “Despite to soaring rhetoric from Redmond OOXML meetings are just Microsoft,” remarks Scientes. “ODF has a broad coalition,” he adds while citing Rob Weir’s latest report. * They bring ODF along with GNU/Linux, so these two are not entirely mutually exclusive.